Beginning in Los Angeles, Ca. 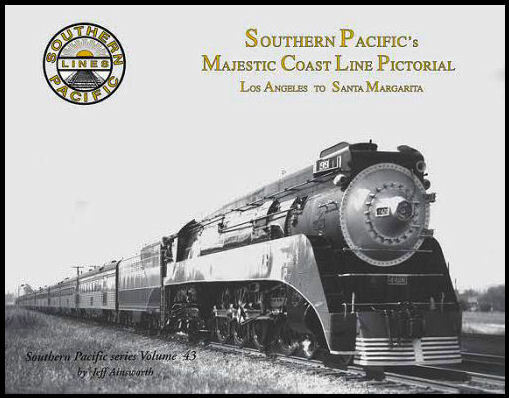 Our journey, will take us from Los Angeles past the industrial sections of a large city, through the Residential valleys of San Fernando and past miles and miles of farmlands to Ventura where we ride along the Majestic California coast line from Ventura to near San Luis Obispo. As we climb toward Cuesta Summit, you can look out from the vantage point of the engineers and passenger the Majestic view of the Pacific Ocean. A wide varitey of steam power 2-6-0s, 2-8-0s, 4-6-0s, Mountains, GS class, 5000s & more. Soft cover.